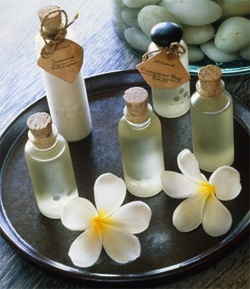 The word "Aromatherapy" can be divided into two words, "aroma" meaning fragrance and "therapy" meaning treatment. Flowers, plants and their essences have been used for relaxation, healing and energy for as far back as 18,000 B.C. Aromatherapy is reputed to be at least 6000 years old and was used by the ancient civilizations of India, Egypt and China. The Egyptians used the method of infusion to extract the oils from aromatic plants that were used for medicinal, cosmetic and embalming purposes. Slowly but surely the knowledge of essential oils spread far and wide. Traders, physicians, chemists and doctors all learnt the importance of essential oils. Experiments were carried out to provide us with aromatherapy, as we know it today. Using essential oils stimulates the mind and body. Each essential oil contains properties that can have subtle effects on the mind, body and emotions. When essential oils are inhaled correctly into the lungs they offer psychological and physical benefits. The aroma of the natural essential oil stimulates the brain to trigger a reaction and the natural constituents of the essential oils when inhaled provide physical benefits. Apart from the benefits referred to above, essential oils also act as a natural repellent and pesticide. This oil is used in clinics to treat depression. Bergamot relaxes the brain when sniffed. It is cooling, refreshing and calming. It helps in insomnia, releases stress and helps to deal with anxiety. It reduces the feeling of pain in the body. Bergamot Oil must be protected from sunlight. Bergaptene, one of its components, becomes poisonous if exposed to sunlight. That is why it should be stored in dark bottles in dark places. Even exposure to sunlight should be avoided after it is applied or rubbed on skin. Cardamom is fresh and spicy. It encourages concentration, straightforwardness, confidence and courage. Cardamom Oil has a warming effect. This effect heats up the body, promote sweating, helps clear toughened cough and also gives relief in cold. Cypress is said to stimulate skin circulation, therefore it is used in massage blends to tone the muscles of the body. It is also very useful for cellulite, sore throat, varicose veins, muscle cramps, rheumatism, arthritis, stress and nervous tension. It also gives a happy feeling in cases of anger or sadness. This property can be helpful to pacify people who suffered a shock or setback in life. A soothing and calming oil with a strong sedative effect, eucalyptus lemon is used for muscle and joint aches, it is anti-inflammatory and antispasmodic. Apart from this, it is also a powerful antiseptic, used for athletes foot, and fungal infections. It is useful to use for a massage when a client is on the verge of getting a cold. Eucalyptus oil is also used as a fragrance component to impart a fresh and clean aroma in soaps, detergents, lotions and perfumes. Fennel sweet has a scent that is warm and slightly sweet. It is used for digestive, nausea and colic complaints. This oil also helps to keep the body and mind calm and free of stress and tension. This oil is best avoided in pregnancy. In old traditions, fennel seed is known to bring long life, bravery and power. It is also known to ward-off of evil spirits. It was commonly used for witchcraft during the Middle Ages. In India, fennel seeds are offered after meals, as it is known to aid in digestion. This oil is one of the most ancient and valuable. It opens the heart and connects the body and spirit. Helichrysum is used for healing scar tissue, old or new. It is also very effective for joint pains associated with rheumatoid arthritis. This oil is also anti-inflammatory with analgesic and pain reducing effects. This oil helps one detox from alcohol, drugs, and nicotine, releasing the body and mind from addictive patterns. Jasmine is an antidepressant and aphrodisiac. Romantic and sensual, this oil bolsters confidence and optimism. It is helpful for anxiety, fear and panic. It is musky, spicy, mysterious and exotic. Peppermint is used for a host of problems like nausea, indigestion, headaches, liver problems and inflammation. Since peppermint is anti-spasmodic, it is used in massage for sports injuries. It is stimulating to the mind and provides mental concentration and memory. Pregnant women in their 1st trimester, small children and those with high blood pressure should avoid peppermint. Inhale peppermint oil before a workout to boost your mood and reduce fatigue.